Matthijs R. Koot's notebook – Personal blog. Hobbies: IT, security, privacy, democracy. News headlines today in the Netherlands and subsequently in international media suggest that Dutch minister of defense Ank Bijleveld has said that the Netherlands is at “cyberwar” with Russia. These reports are misleading and misrepresent reality. On Sunday 14 October 2018, during an interview in the right-leaning Dutch tv show “WNL Op Zondag”, journalist Yoeri Albrecht brought forward the words “propaganda war” and “cyber war”; this was in the context of the disruption of a Russian cyber operation as revealed on 4 Oct 2018 — which is about intelligence & espionage, not about war (semantics matter). 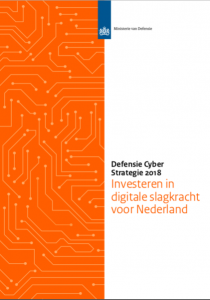 Note: the NU.nl even states ‘Minister Bijleveld spreekt van een “cyberoorlog” in het televisieprogramma WNL op Zondag’, which is hard to interpret other than as suggesting that Bijleveld herself mentioned the word “cyberoorlog” (English: “cyberwar”). She never mentioned that word a single time. The minister’s response, especially in its context and given the precise words & intonation etc., in no way warrants headlines of the likes seen here. Also, note that the minister herself did not mention the word “cyber war” a single time during the entire show. The minister could, and perhaps should, have objected to the word “war” — which, let me repeat it once more, was brought forward by others — but didn’t at that time. But neither the lack of explicit refutation nor (even) the confirmation, taking the context into account, warrant such headlines. I hold the Dutch ‘fourth estate’ in high regard. But in my opinion, the Dutch journalists/editors who chose to spin the WNL conversation into dubious headlines failed us as a society today (a little bit); perhaps in an instance of ‘medialogica‘. While Dutch journalists are not responsible for what e.g. RT & Sputnik do, they do have a moral responsibility to be accurate in reporting, especially regarding these matters, taking into account geopolitical developments. That responsibility includes anticipating potential re-use / abuse of news in support of ongoing information operations — by which I’m not implying they should not report something, but by which I am claiming that due diligence is necessary when reporting about these sensitive topics. Failing to take such responsibility means accepting the risk that one becomes a useful idiot to others — which I also stated in a tweet (it’s a bit offensive, but for good reason). Today’s headlines were misleading and unnecessarily provided informational cannon fodder for ongoing information operations that may also be aimed against the Netherlands. According to reports by Dutch news paper NRC Handelsblad and Swiss news paper Tages-Anzeiger published on 13 September 2018, western intelligence agencies thwarted a plot involving two Russians intending to compromise the computer network of a Swiss government laboratory — the Spiez Laboratory, which carries out investigations related to nuclear, biological and chemical weapons and defense (CBRN). The two were apprehended in The Hague (NL) in early 2018 and allegedly carried (unspecified) equipment with them that can be used to compromise computer networks. They are believed to work for GRU, Russia’s foremost foreign intelligence agency. The apprehension was the result of cooperation between various European intelligence services, reportedly including the Dutch Military Intelligence & Security Organization (MIVD). The Spiez laboratory has been commissioned by the Organization for the Prohibition of Chemical Weapons (OPCW) to carry out investigations related to the poisoning of Russian double agent Skripal and the use of chemical weapons by the Russian-support Assad regime. Switzerland’s federal intelligence agency NDB confirmed knowledge about the discovery and expulsion of the two. NDB states that it has “cooperated actively with Dutch and British partners” and has thereby “contributed to preventing illegal actions against a sensitive Swiss infrastructure”. The Spiez laboratory had already been a target of hacking attempts earlier this year, according to a spokesperson of the laboratory. “We defended ourselves against that. No data was lost”, the spokesperson stated to NRC Handelsblad and Tages-Anzeiger. On 14 April 2018, Russian foreign minister Sergei Lavrov stated he had obtained the confidential Spiez lab report about the Skripal case “from a confidential source”. That report confirmed earlier findings made by a British laboratory. The OPCW states that its protocols do not involve dissemination of lab reports to OPCW member states. It remains unknown how Lavrov got hold of it. In the aftermath of the Salisbury incident, the Dutch government expelled two employees of the Russian embassy in The Hague. In a letter (.pdf) sent to the Dutch parliament on 26 March 2018 — the day on which a large number of countries announced bilateral measures against Russia —, the ministers of foreign & internal affairs stated that they decided to expel the two “in close consultation with allies and partners”. The Russians were ordered to leave the Netherlands within two weeks. It is unknown whether the two expelled Russians are those who were apprehended in The Hague. 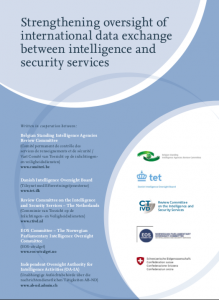 In a November 2017 parliamentary letter from Dutch minister of internal affairs Ollongren, the minister stated that Russian intelligence officers are “structurally present” in the Netherlands in various sectors of society to covertly collect intelligence. She stated that Russia in addition to classical (human) intelligence methods also deploys digital means to influence decision-making processes and public opinion. UPDATE 2018-12-19: the Dutch government has reportedly (NOS, in Dutch) decided to move the sigint collection facility in Burum (NL) to another country (! ), something that chief of military intelligence Onno Eichelsheim expressed (NRC Handelsblad, in Dutch) concerns over in an interview. It is unclear which country or countries have been considered. Obviously, if the Dutch want to uphold existing operations and ways of working, it must be a country that has laws that are compatible with the Dutch laws, notably a legal framework that includes bulk search & selection of communication (at least for ether communication, as the Burum facility focuses on satcom). The Dutch policy debate on 5G spectrum is caught in deadlock: there are opposing legitimate interests of Dutch telecom providers and the Dutch Military Intelligence and Security Service (MIVD) in the 3.5GHz band. The House of Representatives discussed 5G on 29 March 2018. The 3.5GHz band, the most promising of the three standardized 5G bands (700MHz, 3.5GHz, and 26GHz), is also the band that in the northern half of the Netherlands — above the ‘Amsterdam-Zwolle’ line that cuts the Netherlands in half — is fully reserved for the MIVD’s satellite station in Burum, part of the National Sigint Organization (NSO; which is now part of the Joint Sigint Cyber Unit aka JSCU). In 2016 there was a similar situation when telecom operators sought to improve 4G connectivity using the 3.4GHz band (presumably too close to 3.5GHz). Below follows an unofficial translation of an article printed in the 4 May 2018 issue of Technisch Weekblad. The deployment of a nation-wide 5G network in the Netherlands may end up being seriously delayed because the most important 5G band (3.5GHz) is reserved for the Dutch intelligence services until 2026. The AIVD and MIVD eavesdrop on ether communications via their satellites dishes in the Frisian place of Burum. Telecom providers and other industry parties raised an alarm about this in the House of Representatives on 29 March 2018. Earlier, MP William Moorlag (Labour Party / PvdA) even argued that the MIVD antennas should be moved to drilling platforms at sea. 5G is the next generation of mobile data communication technology. Its bandwidths are 3-10x that of 4G, connections are established 20x faster (lower latency) and a million devices per square kilometer should be able to connect. 5G should realize the internet of things. The low latency is important for communication between self-driving cars. For smartphones, 5G is not a necessity, although the high connection/device density is an advantage. Dutch telecom provider KPN states: ‘4G connects people, 5G connects society’. Whether 5G will indeed arrive at a large scale is uncertain. GSMA expects the share of 5G connections in the global data communications to grow from 2% in 2020 to 12% in 2025. More than half of the 750 telecom operator chiefs interviewed by the GSMA mentioned ‘lack of a clear business case’ as biggest threat to 5G. The required investments are estimated at 150 billion euro globally on an annual basis. This is largely due to the fine-grained network of antennas that is required to achieve high throughput and low latency. According to the standard, 5G will use three bands: 700MHz, 3.5GHz, and 26GHz. The 700MHz band, which has the longest waves, does not offer high throughput and is mostly useful to help support a nation-wide network. The 26GHz millimeter band has very high throughput, but due to its short waves has a short range and can only be used for the last couple of hundred meters of a mobile connection. The 3.5GHz band combines the best of both: high throughput and good range. It is the presumed backbone of 5G, but is reserved for use by the MIVD. Norp expects that 5G networks on the 3.5 GHz band can largely be deployed via existing 3G/4G antenna locations. But simply using the 3G and 4G bands for 5G is not an option for the near future, because equipment manufacturers will first make their 5G equipment work with the internationally agreed bands. Notably the 3.5GHz band. State secretary Mona Keijzer (Economic Affairs) announced she will present directions for solutions to end the deadlock, and that she will elaborate on those in her Digital Connectivity Action Plan. Norp hopes a creative solution will be found to allow telecom provides and the MoD to share the 3.5GHz band. At the longer term, the MIVD will no longer be able to control the 3.5GHz band. ‘Because Germany will use the 3.5GHz band for 5G’, according to Norp. Regardless of the Dutch government’s policy, the MIVD will get competition on the 3.5GHz band.